The unofficial BOSS text book, authored by the founder of the Boulder Outdoor Survival School program, Larry Dean Olsen. 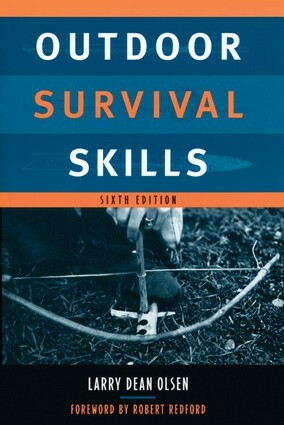 Outdoor Survival Skills has taught three generations of wilderness adventurers how to survive in nature without expensive purchased equipment, instead drawing on knowledge of the land and carefully tested techniques, many of them ancient, for finding or creating shelter, fire, tools, water, and plant and animal foods. In this new edition, anecdotes from the author's lifetime of experience provide thrilling examples of the skills and attitudes that ensure survival outdoors.